One of those perfect moments where the artwork nearly created itself: hard-edged artwork, center-on-center composition, one thing after another. To quote my eighth grade math teacher (or maybe Don Judd): boom, done, finished. 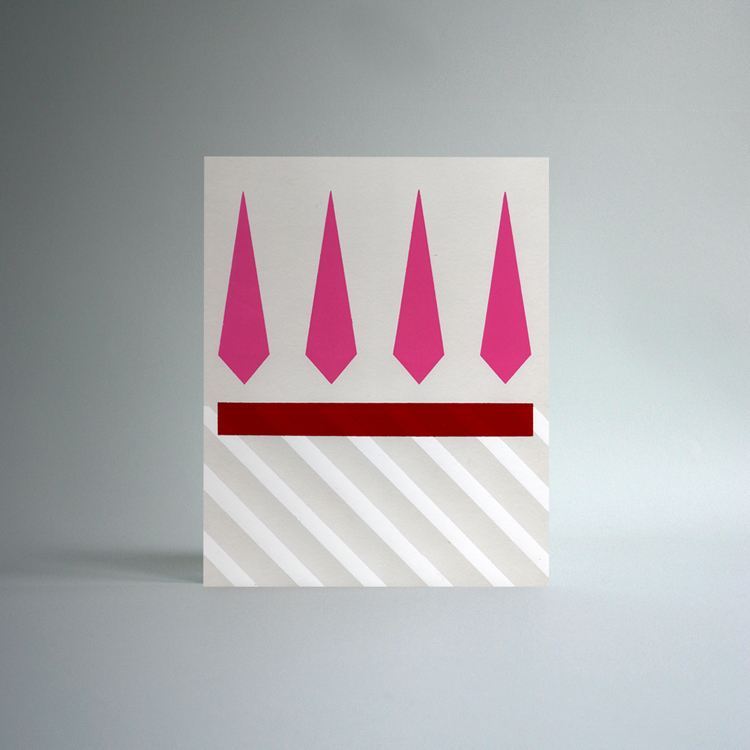 Magenta, red and white on gray stock. Doesn’t get much better than that.